With a name like Emergency Vape Stash, the connotation is that of cheap juice. A bottle that you purchase for a below average price to hold onto for those “rainy days”. Well…that’s not exactly the case with these guys. Normally at this point, I would share the flavor description from the website, but this is much simpler than that. Simply called “Blueberry Cheesecake”, the thought seems to be that if you don’t know what the flavor is…you might not be paying attention! Packaging: The label is designed to be very basic as well. Emergency Vape Stash is written in a font that you would find on a warning sign or an airbrush template for road construction. Below that is the bottle size, nic strength, and flavor listing across the bottom. The far left side features all relevant warnings. Flavor: So this is blueberry cheesecake. I’m not being rhetorical. This IS blueberry cheesecake. From the golden crust to the tangy cheesecake undertones, and even down to the tart blueberries on top. This is everything that you could ever want in a cheesecake blend. Cloud Production: And with the impression of a 70/30 blend (not even the website seems to divulge this information), this has some pretty awesome cloud production. Sure, the cotton took one for the team but that’s not too surprising with the flavor profile. Final Thoughts: The problem I have is the price tag. $37.99 for a 120ml bottle. Now granted, the taste is pretty incredible. Maybe the approach is less about cheap juice and more about planning ahead. If you have a little extra to spend, would you purchase this to hang onto for those rainy days? 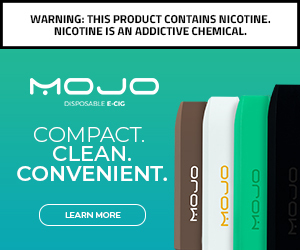 If you guys want to check this out, you can find them at E-Juices. Their price tag is a bit cheaper than what’s advertised on My Vape Bar. The wide selection of juices are sure to fit any taste buds. 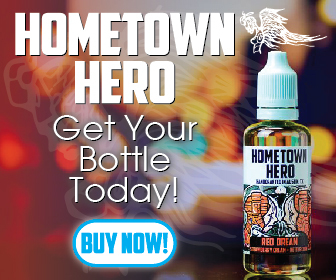 Use the code “ejuices10” to save 10% off your order. The retail price tag you got for blueberry cheesecake from emergency vape stash is a little high. I manage operations for the manufacturer of this juice. We stock all emergency vape stash in our store and many stores local to us. Our retail store has it priced at $25.00 and the stores near us are pretty close to the same. We hope this adds awesome points to your already great review. Thank you for the positivity from the my vape bar staff.